"Who knew fighting with video game meat could be so addicting? ", "There's A Japanese App Where You Battle Sausages And It’s Horribly Addictive. 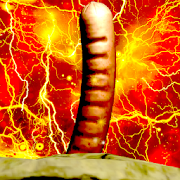 ", "'Sausage Legend' is the Sausage Battling Game that We Deserve"